Lincoln Square offers an ensemble of schools, dining, the arts and shopping, as well as the world-renowned Lincoln Center for the Performing Arts. It exudes class, style, history and classic Upper West Side charm as it blends prewar architecture with modern luxury high-rise buildings. The area is brimming with culture and is a mecca for both connoisseurs and aficionados of the arts with a myriad of attractions from The Kaufman Music Center and Stage 72 to the Museum of Biblical Art and the New York Society for Ethical Culture. In the heart of this magnificent neighborhood are the exclusive rental residences known as The Encore. 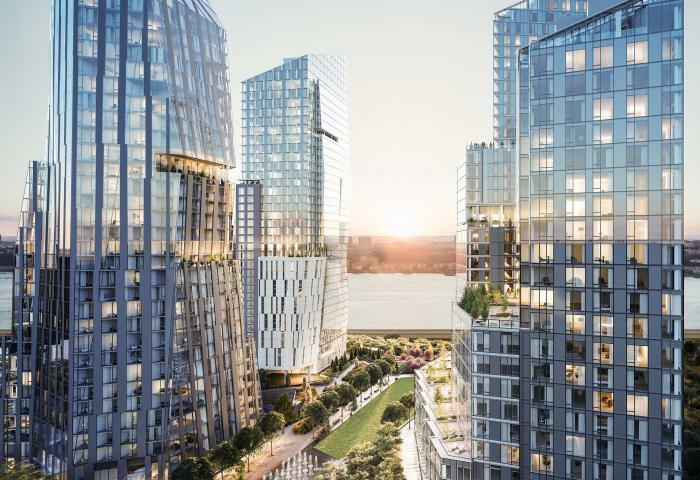 Groundbreaking architecture, spectacular views, exceptional amenities and an unparalleled level of service make The Encore fit right in at its prestigious address. Located at 60th Street and Amsterdam Avenue, The Encore places you at the soul of Manhattan just steps from Columbus Circle, Lincoln Center and Central Park. LEED (Leadership in Energy & Environmental Design) is a green building certification program that recognizes best-in-class building strategies and practices. The Encore is extremely proud to have garnered this certification by selecting materials and construction carefully measured for their environmental impact. The latest by Glenwood, designer of the finest rental residences in New York City, The Encore is eco-friendly but at the same time extremely lavish. The building includes state-of-the-art amenities such as a modern fitness center, a skylight lit rooftop 50-foot glass tile pool enclosed by floor-to-ceiling windows, a 15-foot glass tile oval whirlpool spa, fully furnished lounges with kitchens, a children’s playroom, a dry cleaning, valet, maid services, on-site storage and laundry facility.